Keeping your Forklift Truck operating at full efficiency with our Parts and Service Cover. Keeping your forklift trucks running and in prime condition is essential to keeping your business running smoothly. 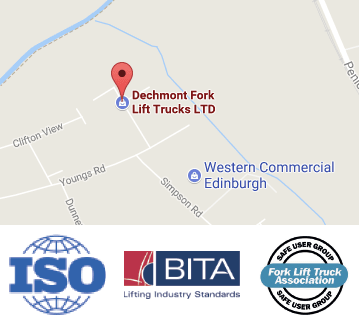 Not only do Dechmont Forklift Trucks provide extensive servicing and Thorough Examinations, we also provide a full parts and labour service. 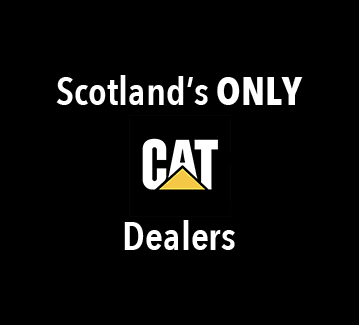 Being the CAT® Dealer for Scotland we have an extensive stock of Filters and Parts for all types of CAT® Forklift Trucks. Our experienced Parts Engineers can supply parts for every type of Forklift Truck, and also have experience in finding the correct parts for your Forklift Truck if you are having difficulties. We understand the challenges to business operations when a Truck is idle and therefore we endeavor to get your vehicles up and running as quickly as possible – to assist in this, we carry an extensive stock of Forklift parts for all makes of Forklift Trucks. Forklift servicing and Forklift repairs are extremely important. Our experienced team of highly qualified field engineers can provide an expert service and are aided by our excellent facilities that are capable of taking on any job, big or small, complex or simple. Whether you need a full service, or simply require swift repairs to your machinery, get in touch with Dechmont Forklift Trucks today. We repair and service all makes and models. We offer a range of servicing packages to suit your requirements. Our customers are always passed to an experienced engineer to talk through the problems they are having in detail. We have a full and modern workshop capable of taking on any repair work. Our service engineers cover the whole of Scotland. All of our work, whether forklift repairs or forklift servicing, comes with a quality guarantee. We have an extensive stock of parts so that repairs can be carried out swiftly without waiting around. Our engineers are Thorough Examination Certified (including LOLER). Our service engineer’s response time is within two hours 98% of the time.